KHON KAEN: Two suspects wanted by the police in connection with the grisly murder of a 22-year-old karaoke bar worker have been arrested, police said yesterday (May 30). The first arrest was of Wasin Namprom, 25, who was detained in Laos yesterday. It was followed by the arrest of Jidarat Promkhun, 21, who was nabbed in Ubon Ratchathani. Two other suspects in the case are Preeyanuch Nonwangchai, 24, and Kawita Ratchada, 25. They are all accused of premeditated murder and concealing a body. Wasin, who was detained yesterday by a combined team of Thai and Lao officials at a guesthouse in the neighbouring country, confessed to witnessing the murder of Warisara “Am” Klinjui, 22, according to an unnamed police officer who is part of the team that arrested Wasin. But Wasin insisted he did not kill her. Ms Warisara’s dismembered body was found in Khon Kaen’s Khao Suan Kwang district last week. 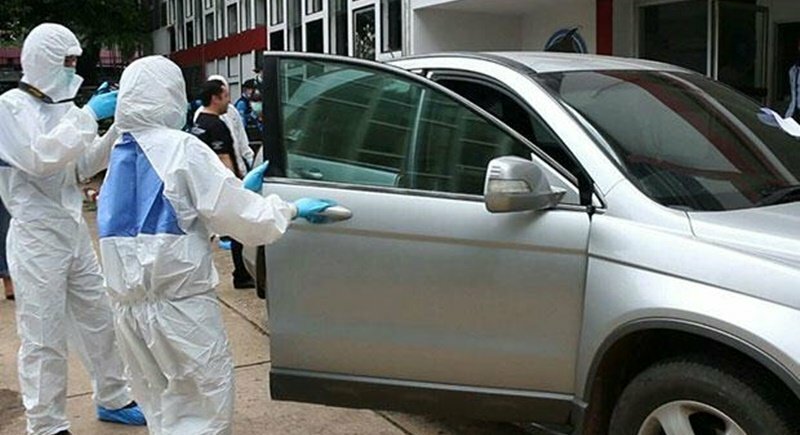 Wasin told authorities that Preeyanuch, also known as Preaw and Gift, throttled Ms Warisara, covered her head with a plastic bag and beat her to death after the victim was abducted in a rented Honda CRV car, said the police source. Wasin said he drove the car for Preeyanuch. After Ms Warisara was killed they disposed of the body in a plot of land owned by Preeyanuch in Khao Suan Kwang district, said the officer. The officer said the suspect revealed that Preeyanuch held a grudge against Ms Warisara as she believed the victim had divulged information to police which led to the arrest of Preeyanuch’s husband in a drug case. He said they stopped to buy a saw at a hardware shop on the way to dispose of the body. Col Phakphum Phisamai, chief of Khao Suan Kwang Police Station, meanwhile, said Preeyanuch’s older sister, Praphasiri Somsri, 34, told police investigators on Monday (May 29) that Preeyanuch told her she had murdered Ms Warisara. Preeyanuch’s sister was quoted as telling police investigators that Preeyanuch had confessed the crime to her on the phone. According to the sister’s statement, Preeyanuch and the other three suspects lured Ms Warisara out of a bar and forced her into a Honda CRV where Preeyanuch beat the victim until she lost consciousness. When the victim regained consciousness, she yelled at Preeyanuch saying that if she survived, she would kill Preeyanuch, the sister said. That only angered Preeyanuch more and in a fit of rage, she began beating the victim again and strangled her to death, according to Praphasiri’s statement. She added that Preeyanuch later told her she dismembered the victim’s body on her own at a resort in Ban Nonthan in Muang district. Col Phakphum also said the Honda CRV used in the abduction was seized from a car rental company in Khon Kaen on Monday night for examination, along with the car rental documents. Forensic police were collecting evidence including fingerprints, blood, hair and DNA samples from the seized car, he said.